I often get asked about how to determine the quality of a cricket bat, and how the grading system is part of this. 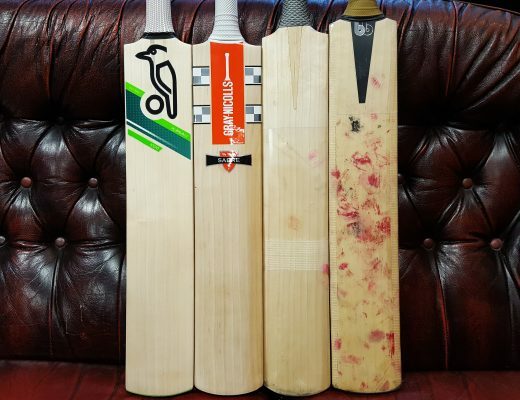 In my four years in the cricket market, and having visited numerous bat makers in this time, I have been lucky enough to learn a fair bit about this topic, but there generally seems to be a lot of misunderstanding in the industry, so I felt it would be worth addressing it in this post. What is the best cricket bat? Is bat A better than bat B? Why do you like this bat more than that one? Which bat is best value for money? Is this £400 bat worth the money? What bat would you recommend for a £200 budget? These are just a few of the frequently asked questions we get on a daily basis. Although it is our bread and butter, I generally don’t like answering these questions because the only answers we can give are purely subjective and may not be relevant to the customer. Sure, like everyone else, I have my own opinions about what I like more than others, and there is a reason I chose to use a Hell4Leather HellFire bat last year, but I hate using words like “best” or “better” when it comes to describing cricket bats. Why? 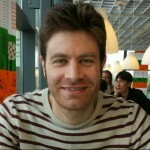 Because they are a natural product and very personal to each customer, and as every customer has a different technique and shot selection, and his or her own set of unique preferences, how can we, the retailer, possibly tell them with any confidence what is best for them? We can offer some guidelines, but ultimately, only the customer will know the answer, surely? The person behind the famous proverb: “one man’s meat is another man’s poison” must have been thinking about cricket bats when he came up with it, as it describes them down to a tee! “A Grade 1 is the best looking blade, though it will not necessarily play the best. There may be some red wood evident on the edge of the blade. The grain on the face will be straight and there will be a minimum of 6 grains visible. There may be the odd small knot or speck in the edge or back but the playing area should be clean. According to their descriptions, it appears that the only difference between grade two and grade one is that there is more red wood (commonly referred to as heartwood) on the grade two bats and more blemishes on the face of the bat. I find it intriguing how nowhere do they state anything about the performance of the willow and how they compare between the grades. They even specify that a grade one bat “will not necessarily play the best”. So, grading cricket bats on performance, as some claim to do, seems to be a myth. In my experience this also holds true. As far as I am aware, performance never even comes into the conversation when it comes to a grading decision on a cricket bat. Does this mean that a grade four bat could actually score me more runs than a grade one bat and “ping” better, despite costing me over £200 less? Yes, it does. But how can that be, if it costs so much less? It’s not the easiest one to answer, but I think it’s because it is less desirable willow and less limited in number and supply and demand is ultimately the main driver of prices in the cricket industry, as in any other. Does this mean I could get a dud grade one bat (often referred to as a “plank”) and waste over £300? Yes, it does, if you aren’t careful! Unlike in, say, the electronics industry, spending more money on a cricket bat is no guarantee that it will be of greater quality than a lower priced alternative. It will, however, guarantee you a better looking bat, with a cleaner face, so if this is your main purchasing criteria then by all means get the more expensive bats. But you can’t score runs with looks, can you…? At this point, I should deviate slightly and explain some details about the very top end, limited edition bats (commonly referred to as grade 1+ or Pro Grade English Willow). Surely it’s logical that professional cricketers are using better quality bats than amateurs, right? Pros will never use grade three or four bats, will they? Anyone who watches any cricket on TV will know that the professionals usually come out with very attractive bats, with a minimum of ten straight grains, and as they aren’t paying for the bats themselves (lucky bastards!) cost is not an issue as to what they decide to use. They choose to use grade 1+ bats because they are made from older willow, which is generally softer, so they can reach their peak performance level sooner. The wood on a lower grade bat is younger – each grain represents one year’s growth – and this makes it stronger and harder, which is great for durability. Lower grade bats will usually last a lot longer than grade 1+ bats, but it will take them much more time to reach the peak performance level that is so crucial for the pros. A professional cricketer does not want to be waiting for a season or two for his or her bat to reach the desired performance level required, and certainly has no real interest in using the same bat for years and years – let’s face it, they sometimes happily go through three or four bats in just one innings! Amateur cricketers on the other hand, have invested their own hard earned cash on a bat – money that is often very tricky to justify to their significant other – and are therefore keen for it to last as long as it possibly can! Some amateur players may still crave the almost instant peak performance offered by grade 1+ bats, which is fair enough, but they will have to accept that such a bat may not last anywhere near as long as a lower grade bat that’s around half the price. Those going for the lower priced, wider grained alternatives must understand that the bat may take a while to “open up” and reach its peak, but once reached, the peak performance level will most likely not be inferior to that of a top grade bat in any way. Another key factor when assessing quality of cricket bats is the pick-up. Nowadays the trend is to have very big bats that don’t feel anywhere near as heavy as they should, and by and large, the bat makers do a good job of achieving this. 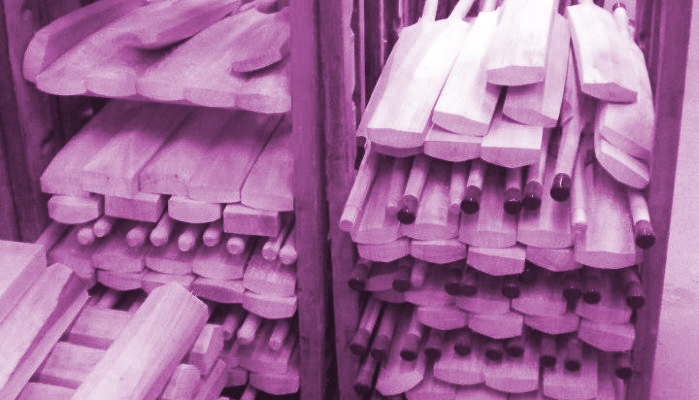 All cricket bat makers have access to the same grades of willow and the same qualities of handle and grip. They can also design whatever stickers they like, within reason, but one factor that isn’t always consistent – the one key variable in the production line – is the pick-up of the bats. In my opinion, the pick-up is where the bat maker earns his salt. This is where it can all go wrong. A cricket bat may look stunning, with 15+ ruler straight grains, and it may have the most attractive stickers ever seen, but if it feels a lot heavier than it is, without being balanced in the hands, the bat maker hasn’t done a very good job with it. For me, a bat must pick up well to be deemed a quality bat regardless of its profile shape or size. That being said, we again have to worry about being subjective as pick-up is clearly a very personal thing. Some bat makers offer a “pick-up index” as a method of informing the customer universally how a particular bat picks up. Broadly speaking, the bats with a lighter feel will be assigned a lower number, say one or two, while the heavier bats will be marked as a four or five. On the surface, this seems like a very clever idea and would no doubt help people to buy a bat online if they are unable to access a physical store to feel it for themselves. The trouble I have with it is that pick-up is such a subjective thing. I have had disagreements with numerous customers and even colleagues about how light a pick-up certain bats have and I think this, again, comes down to the unique playing style and technique of each person, or just the way we hold the bat in our stance. No two batsmen are the same. Whilst the grading system is a definitive guide to the looks of cricket bats, pick-up is more of a grey area for me, so although it seems like a nice idea, attempting to use a similar system for pick-up is pointless. So, again, how can I possibly tell you which is the best bat for you based on pick-up? I only know what I like – I cannot authoritatively tell you what you will like. Here at It’s Just Cricket, we are very picky with our bats and choose to handpick every single one we stock. But, after reading this post, you may wonder why we bother doing this when the lower grade bats will usually last longer and may end up performing just as well as the very top end ones anyway? Whilst this is valid, we also strive to offer the very best service and value for money possible for our customers. 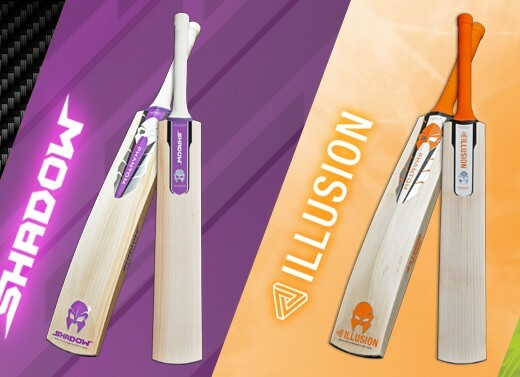 This doesn’t mean stacking our shelves high and selling them cheap, like others have been known to do, but rather, accepting that willow is a natural product and varies so much in so many different factors: how will the £300 bats we choose to stock fare with other competing £300 bats from other retailers? Will the customer consistently get value for money from us, or is he or she better off shopping elsewhere for this? Indeed when a customer chooses to spend in excess of £300 on a cricket bat, he or she has high expectations and rightly so. Yet, oftentimes we will visit a manufacturer and see several bats there that are over £350 that we feel aren’t worth £200, so we steer clear of these bats. Granted, we cannot properly test out the bats and have a net with them before making our selections, although I wish we could as I need all the extra batting practice I can get (with an average of just 10.83 this year!) No, unfortunately we can only really judge them on the looks, pick-up and mallet response of each bat. However, judging from past experience and customer testimonials, this seems to be a pretty good indicator as to what bats will end up meeting – or even exceeding – customer expectations after use for each price point and this is, ultimately, all we can do as a retailer. 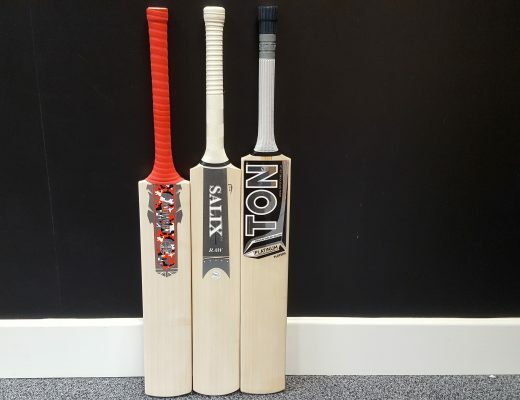 See it more as a personal quality guarantee, as we have done everything we possibly can to ensure that £250 with us is better spent cash than £250 spent elsewhere, as most other cricket shops don’t go into the same level of detail as we do and generally won’t handpick their bats. It’s as simple as that. We may be wrong. We may miss out on some gems when we handpick – we may even reject perfectly good bats simply because they are a bit too blemished for the price. We are vain in this way, but this is what our customers want, so we feel this is what they should get. When it comes to choosing cricket bats and judging their quality, the customer is always right, after all! My nephew out of no where has fallen in love with Cricket. I know nothing about this sport, but my brother wants me to get him a cricket bat for his birthday. With that, I have been looking for anything that can help me find a good bat for him. This article helped me a ton and I hope that I can him the right grade of bat.